What Is "Other" In iPhone Storage? Here's The Truth & How To Delete It! 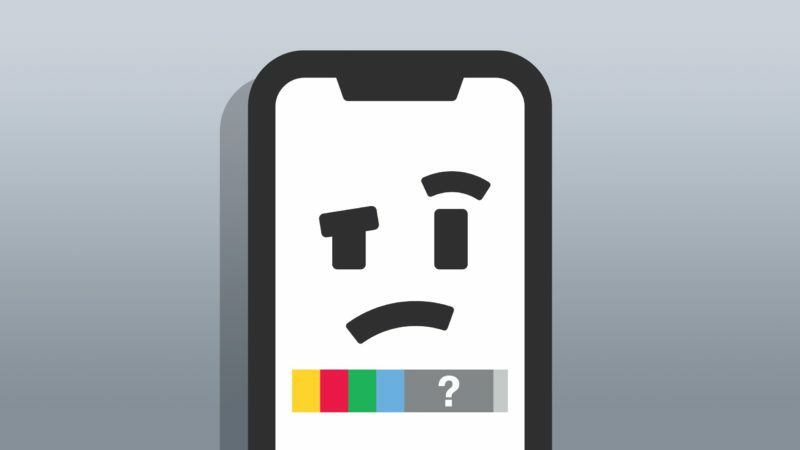 You are at:Home»iPhone»Tips»What Is “Other” In iPhone Storage? Here’s The Truth & How To Delete It! What Is “Other” In iPhone Storage? Here’s The Truth & How To Delete It! You’re running low on iPhone storage, so you went to check what’s taking up space. To your surprise, there’s this mysterious “Other” taking up a significant amount of space on your iPhone. In this article, I’ll explain what “Other” is in iPhone Storage and show you how to delete it! 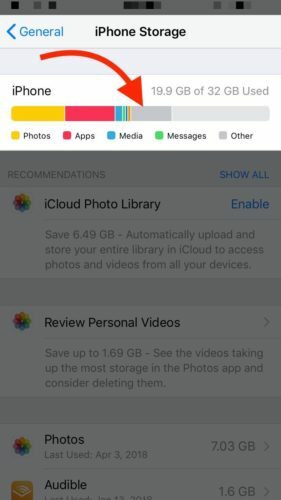 What Is “Other” In iPhone Storage? The “Other” in iPhone storage is mainly made up of cached photos, music, and video files. Your iPhone saves these cached files so they’ll load faster the next time you want to access them. If you’re someone who likes to take a lot of photos, stream a lot of music, or watch a lot of videos, your iPhone may end up dedicating a lot of storage space to files classified as Other. Settings files, system data, and Siri voices also fall into the category of Other, but those files typically won’t take up as much space as cached data. There are a few ways to delete “Other” in iPhone storage. Since a few different things fall under the umbrella of Other, we’ll have to complete a few different steps to clear it out. First, we can quickly clear cached Safari files by going to Settings -> Safari -> Clear History and Website Data. This will clear Safari’s cache as well as erase your iPhone’s browsing history on Safari. One way to begin clearing out the Messages app cache is to only keep old messages you receive for 30 days. This way, you won’t have unneeded messages that are a year or older taking up valuable storage space. 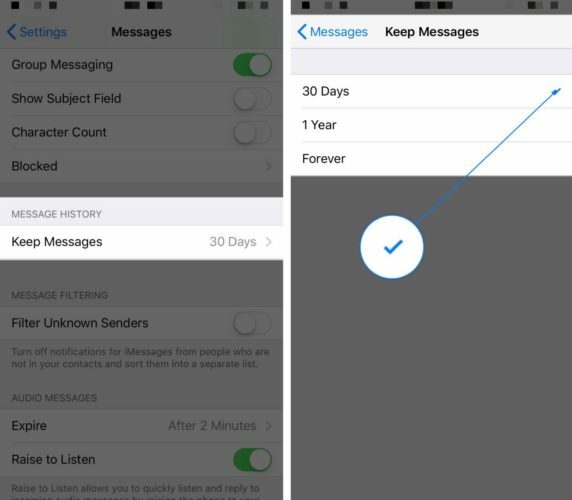 Go to Settings -> Messages -> Keep Messages and tap on 30 Days. You’ll know 30 Days has been selected when the small checkmark appears to its right. You can cut down on a lot of Other iPhone storage by offloading the apps you don’t use very often. When you offload an app, the app is essentially deleted. Little bits of data are saved so you can pick up right where you left off when you’re ready to reinstall it. 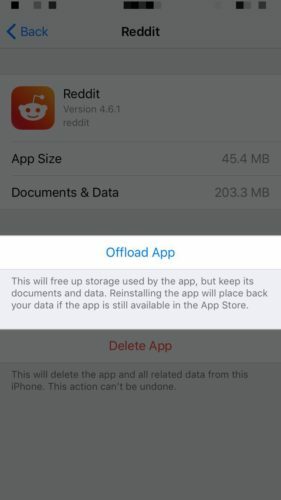 To offload an app, go to Settings -> General -> iPhone Storage. Then, scroll down and tap on the app you want to offload. Finally, tap Offload App to offload it. If you really want to put a big dent into the Other in iPhone storage, put your iPhone into DFU mode and restore from a backup. When you DFU restore your iPhone, all of the code controlling its software and hardware is completely erased and reloaded. DFU restores can often deep software problems, which could be causing “Other” in iPhone storage to take up a lot of space. Note: Before performing a DFU restore, save a backup of the information on your iPhone so you don’t lose any important data! I hope this article helped explain what “Other” is in iPhone storage and how you can delete some of it. If you have any other questions about iPhone storage, feel free to leave them in the comments section below! Previous ArticleHow To Turn On iPhone: The Fast & Easy Guide! 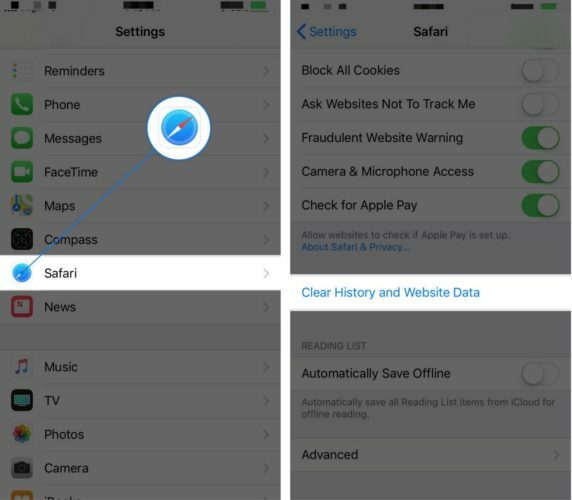 Next Article How To Close All Safari Tabs On iPhone: A Quick Shortcut!